PG & Research Department of chemistry conducted Golden Jubilee "Special Lecture on Electronic Spectra of Complexes" on 08-03-2018. The Principal, Dr. A. R. Ponperiasamy, presided over the function. The HOD Dr. A. Sekar welcomed the gathering and explained the main objective of the special lecture. 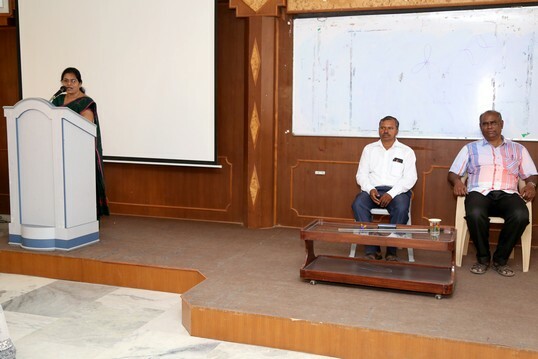 Dr. S. R. Bheeter Associate Professor and Head, Srimad Andavan Arts and Science College Trichy delivered a special lecture on "Electronic spectra of Complexes". His lecture is greatly useful to the PG and third year students. 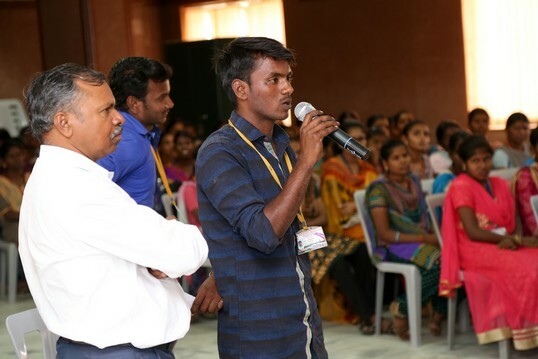 During the Students interaction session, many asked various doubts related the topic. The chief guest explained them very clearly. The students are impressed and received exposure in this topic. Around 150 students are participated both from UG and PG. The lecture was concluded by vote of thanks given by Dr. D. Viji Saral Elezabeth, Associate Professor of Chemistry.